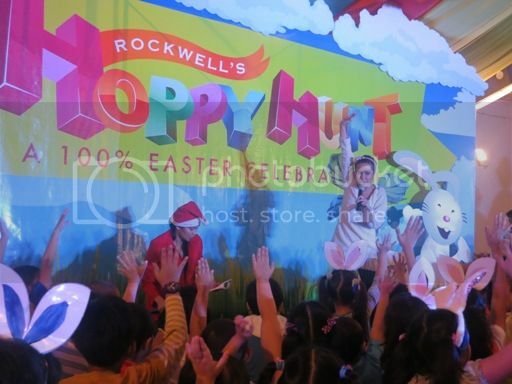 We Joined Rockwell’s Hoppy Hunt Easter Celebration! 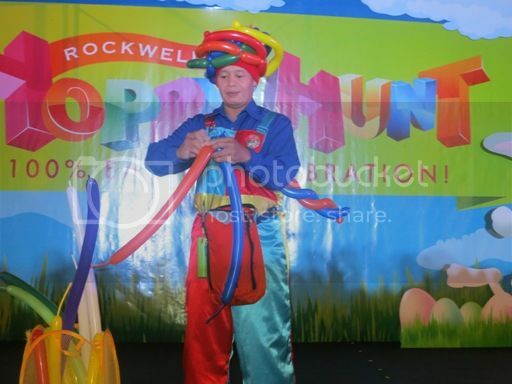 I really wanted my 6-year-old son to experience Easter egg hunt, so when I received an invite to Rockwell’s Hoppy Hunt last week, I said yes right away. 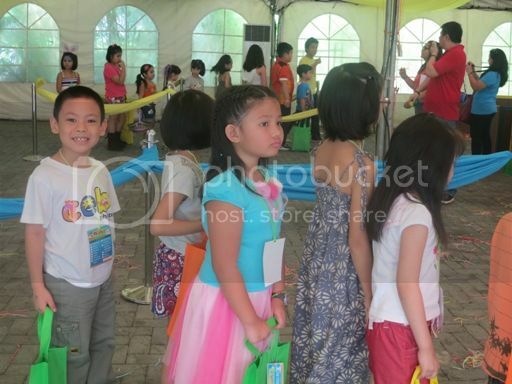 The ticket cost Php550.00 for one kid and one adult and Php200.00 for an additional adult companion. 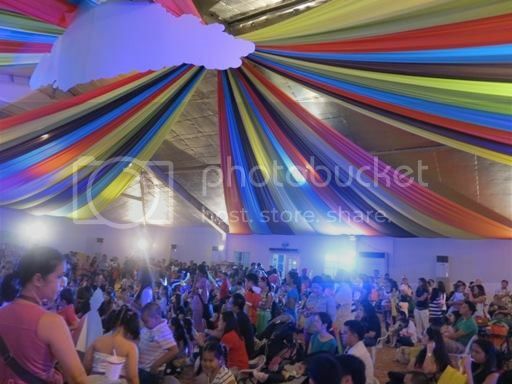 My son and I were given a complimentary ticket, and our two adult companions were also able to get inside Rockwell Tent without paying anything. 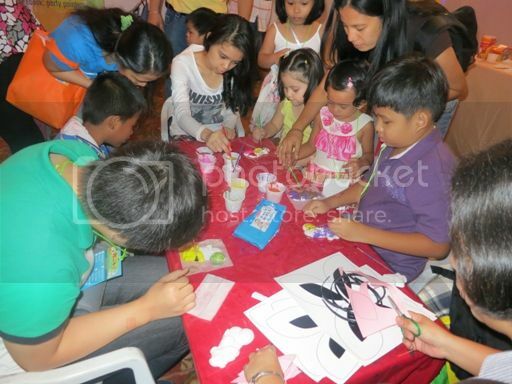 There were lots of activities in store for the kids. 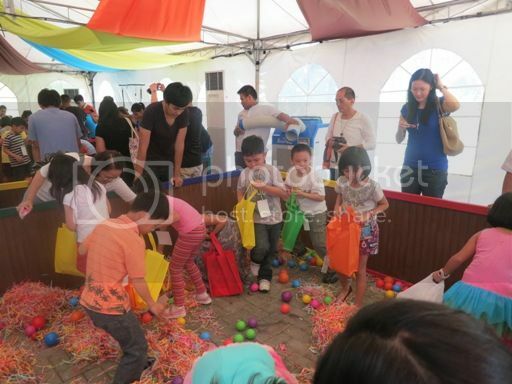 Aside from Easter egg hunting, there was also a balloon-making show, a puppet show, storytelling, a bubble show, Easter games, a puzzle contest, ceramic egg painting, bunny ears making, face painting and a photo booth. 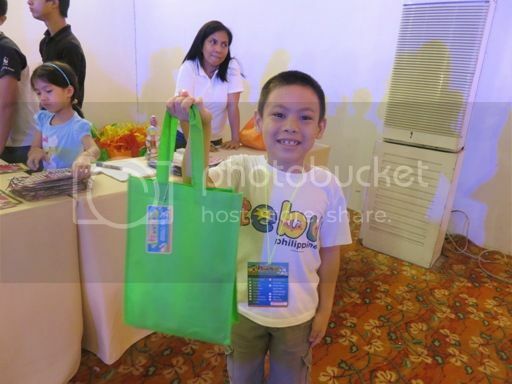 The children also received lots of freebies from Monde Nissin, Lemon Square, Bizu Patisserie, CPK, Build City, Pinkberry and Big Chill. Justin was first given a passport so he could partake in all the activities. Then he got his basket of goodies before making his bunny ears. He refused to wear the headband holding those bunny ears, however, because he said it’s hurting his head. Then it was time for egg hunting. Justin was so excited because it’s his first time to do this. 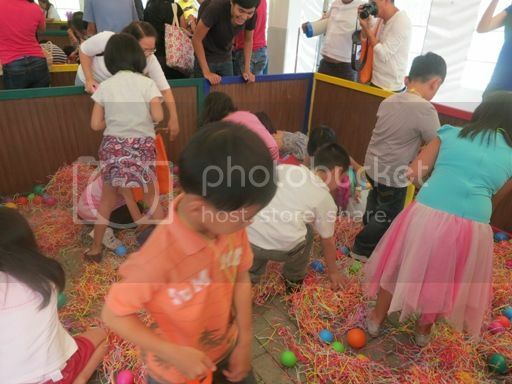 The egg hunting was done in batches. The little kids (4 years old and below) went in first followed by the bigger kids (5 years old and above). The children were supposed to collect all the eggs they could find. Those who would find the golden eggs would get a special prize. Unfortunately, my son found only two eggs. The time given to the kids to collect eggs was very short, plus there were only a few eggs left in the make-shift barns. He was actually frustrated that he didn’t get a lot of eggs and almost in the brink of crying, but what he was fretting about was soon forgotten when he saw candies inside the two eggs he collected. 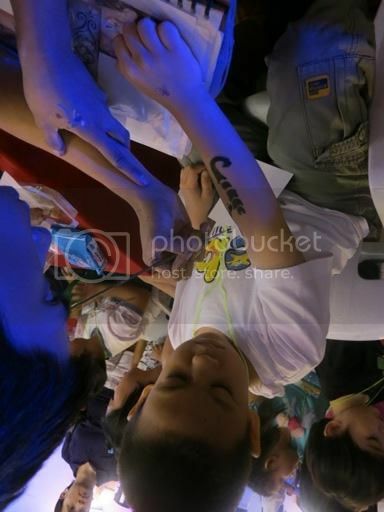 Another thing that my son really liked was the face/arm painting. 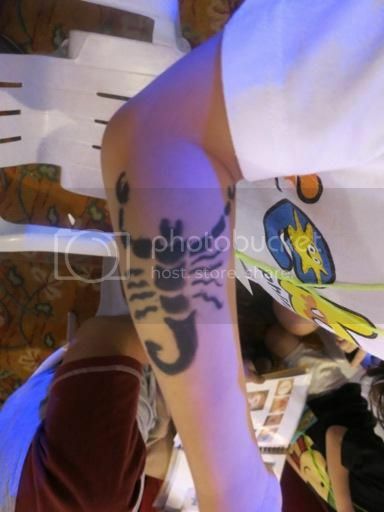 The line was so long that it took more than two hours before it was my son’s turn to have his arm painted with a scorpion. 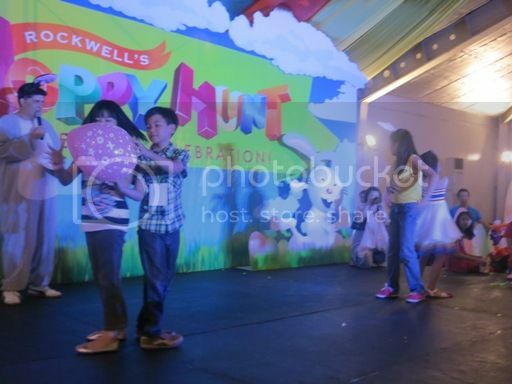 There were lots of kids with their moms and dads who joined Rockwell’s Hoppy Hunt Easter celebration last Sunday. 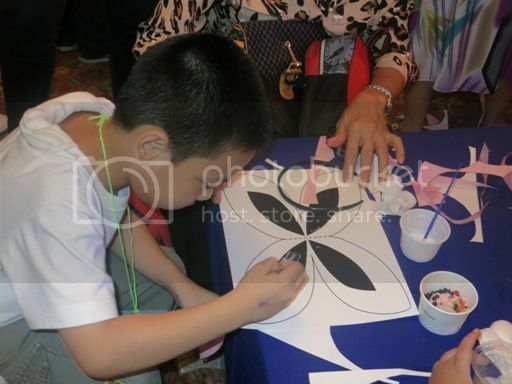 The activities were a hit among kids, and they were conducted in an orderly fashion, so all went well. My son still wished, though, that he got more eggs. Lol! 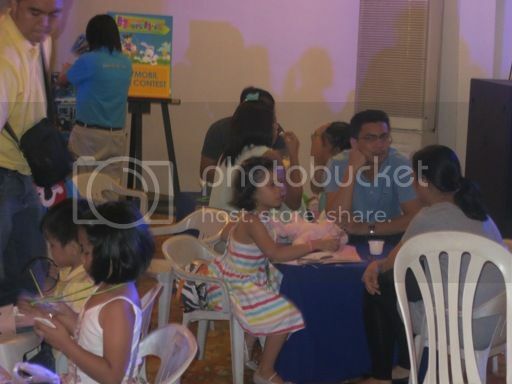 This entry was posted in Easter Celebration, Easter Sunday, Rockwell Power Plant Mall, Rockwell Tent, Rockwell's Hoppy Hunt. Bookmark the permalink. 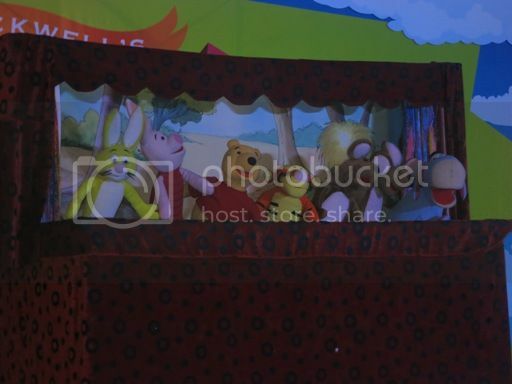 6 Responses to We Joined Rockwell’s Hoppy Hunt Easter Celebration! He looks like he had lots of fun. A scorpion? Why a scorpion? Looks cool though! 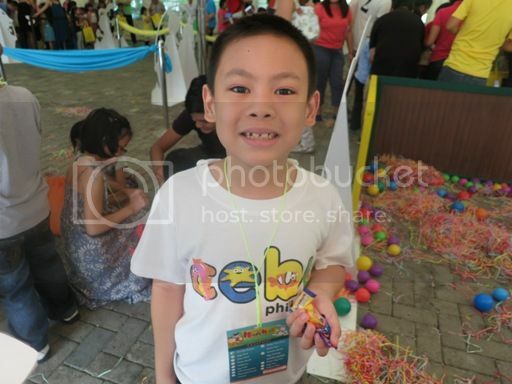 Looks like your son had so much fun! My niece and I were supposed to go to Eastwood for their Easter Sunday activity, but we decided to back out because it was so hot that day. Oh the bliss of being a child! 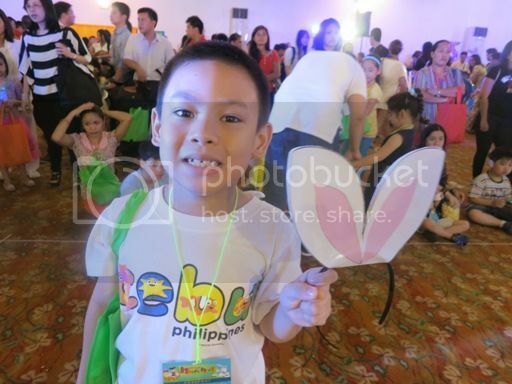 My children were not able to join Easter egg hunting this year because my youngest was part of the Salubong ceremonies. We got back home on the early dawn of Sunday and we were unable to wake up in time for the egg hunting in our village. We weren’t able to go to any easter Egg hunting this year. next year na lang siguro.